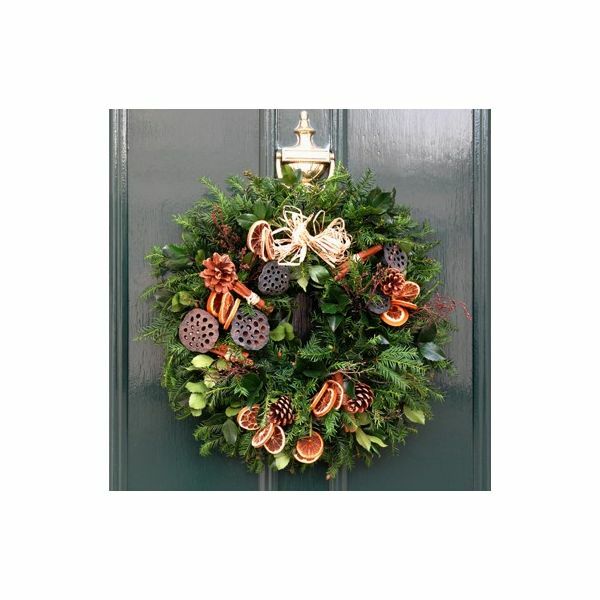 Our Natural Christmas Door Wreaths are individually made for each and every customer, bespoke so that every single one is unique. Set on a beautiful hand crafted display of seasonal foliages and adorned with natural cones, dried produce, cinnamon and dried fruits. Available in a choice of sizes.. Please note some accessories may vary to that shown due to availability but close alternatives will be used.